I’ve been all about protein shakes for breakfast the last three weeks. As the weather is getting a little warmer, I’m craving hot breakfasts less and less. I have also been waking up earlier to get a workout in before work, so a protein smoothie is the perfect quick breakfast to nourish my body. It takes literally two minutes to throw together and I can drink it as I get ready for work (or while I drive to work). This peanut butter oat version has protein from the plant-based protein powder AND the peanut butter- 22 grams to be exact! 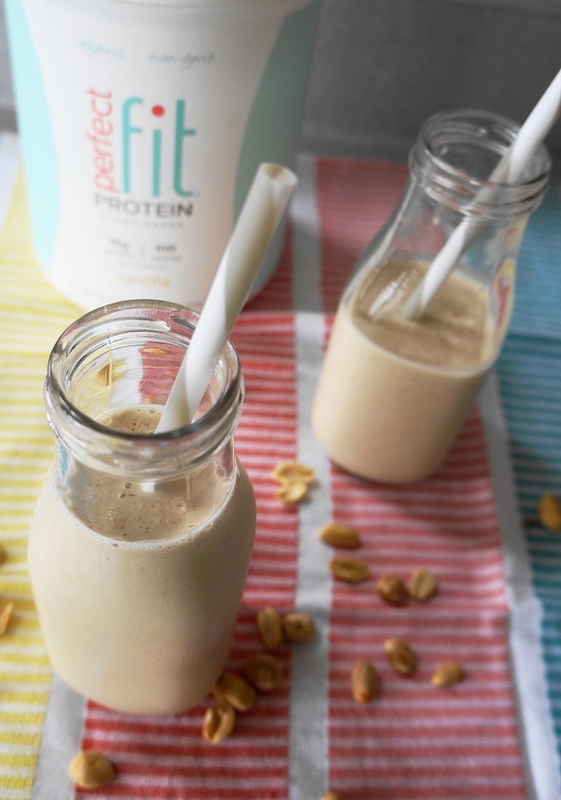 The oats add extra fiber which helps the smoothie feel more filling and substantial. You’re not going to feel hungry an hour after drinking this smoothie. The oatmeal does give the smoothie some texture (which I like) but if you’re only into super creamy smoothies, you can grind your oats into a powder first and then add your other ingredients. 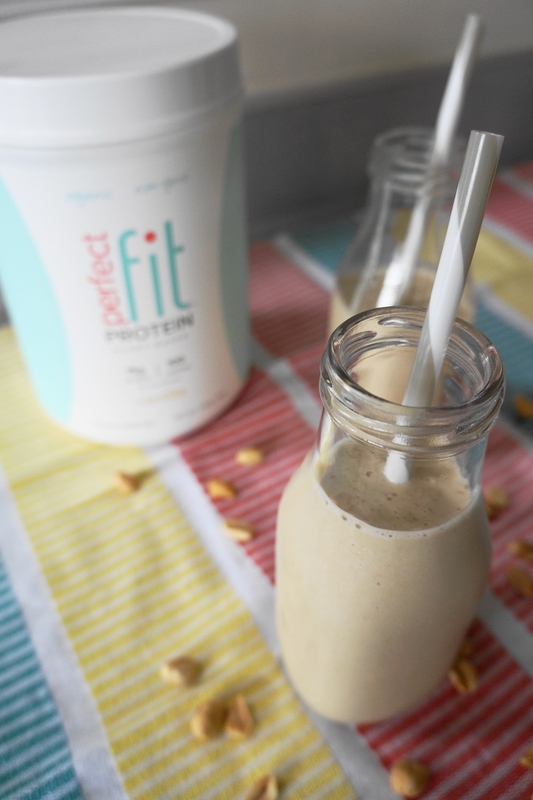 To me, this smoothie almost tastes like you’re having dessert for breakfast because the peanut butter tastes sweet and indulgent. There are no sweeteners or artificial ingredients of any kind in this recipe. If you’re a peanut butter lover like me-give it a try! NOTE: Chocolate protein powder works really well in this recipe too if you’re looking for another variation! NOTE 2: Make sure to always have some bananas frozen in your fridge! I just halve a bunch of ripe bananas and store them in a freezer bag. 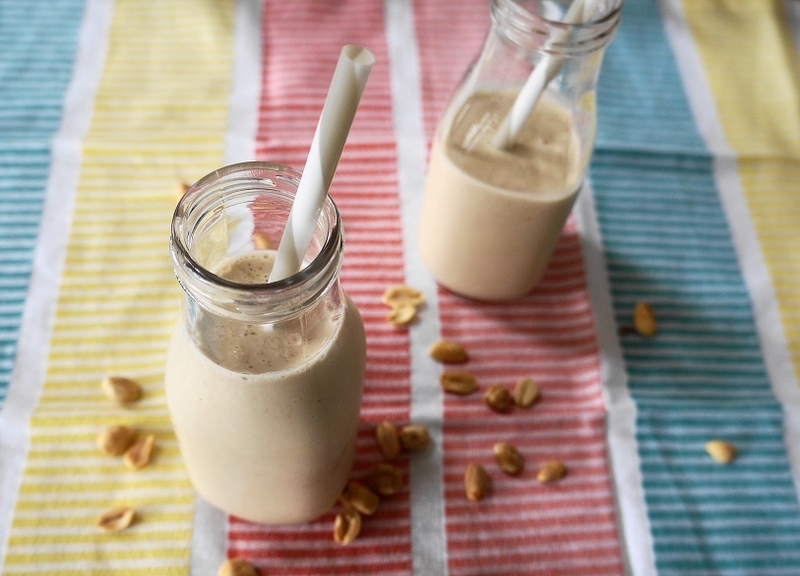 Frozen bananas make smoothies extra creamy and keep you from having to add a ton of extra ice. Combine all ingredients in a high-powered blender such as a Ninja or Vitamix. Process until smooth.